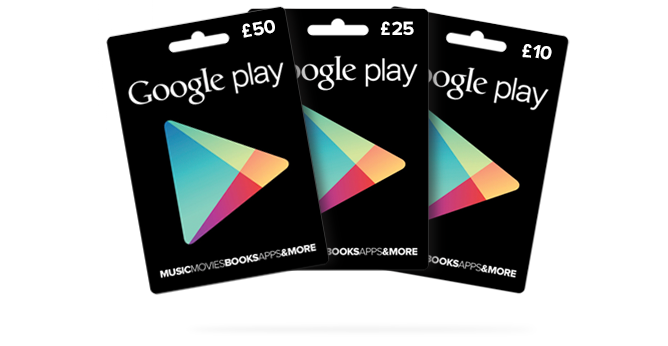 Google has dropped the clearest hint possible that it is all set to launch gift cards for its Google Play app store in the UK after it posted extensive details of the cards on one of its support pages. Gift cards were launched in the US last August and talk of a UK release has been speculated for some time. Android Central noted the creation of a dedicated but not fully-functioning website back in December, but now the plans appear all ready to go after Google’s dedicated gift card help page began listing them as available in £10, £25 or £50 denominations in the country. Android UK News spotted the page, which also explains that users can store up to £2,000 in credit and contains other references to UK availability. A Google spokesperson played down any imminent arrival telling TNW “we have nothing to formally announce yet”, but it could be that the company is in the final stages of bringing on retail partners to sell the cards, or closing other loops. We’re willing to wager that the launch is imminent since there is past history of Google posting details of product availability on its pages. A number of the Nexus 7 launches — including France, Germany and Spain — were quietly posted to the Web before any announcement from the US search giant. Google launched physical cards in the US in August in partnership with Target, GameStop and RadioShack stores and Walmart.com. The US cards are available in $10, $25 and $50 denominations and can be used to purchase music, movies, books, apps and other content from the Google Play store. Interestingly, they can also be used to make in-app purchases from apps directly, which is something that Apple’s iTunes Gift Cards can’t do.